Citizen of the World: The Blues! Hey guys! Happy Monday!! So, I'm sure by now you all saw my new red pumps that I'm loving! Well, in addition to red they had the blue on sale so obviously I couldn't say no! 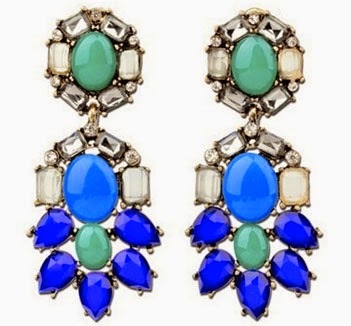 They are such a great color...bright and bold and the perfect little pop to your outfit! I had the perfect little matching mini-satchel to go with them too! I'm in love with cobalt this season. I can't get enough of it. Great pair of heels. You look so cute. 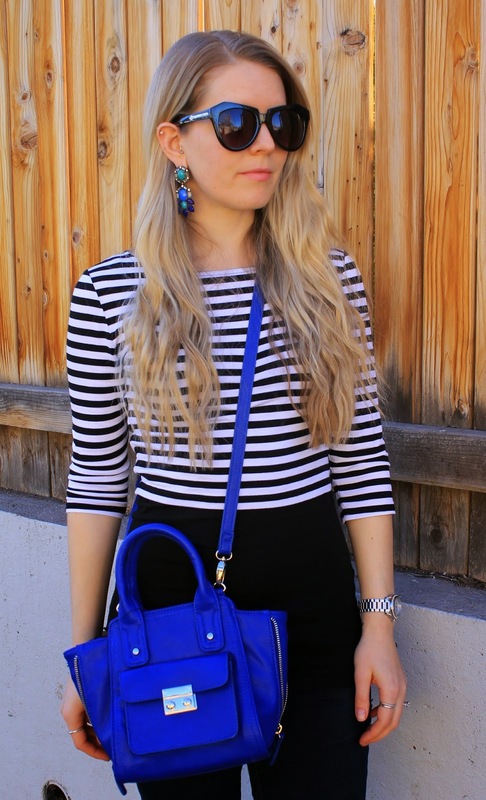 I love the pops of cobalt blue, & the strips compliment the shade so nicely! 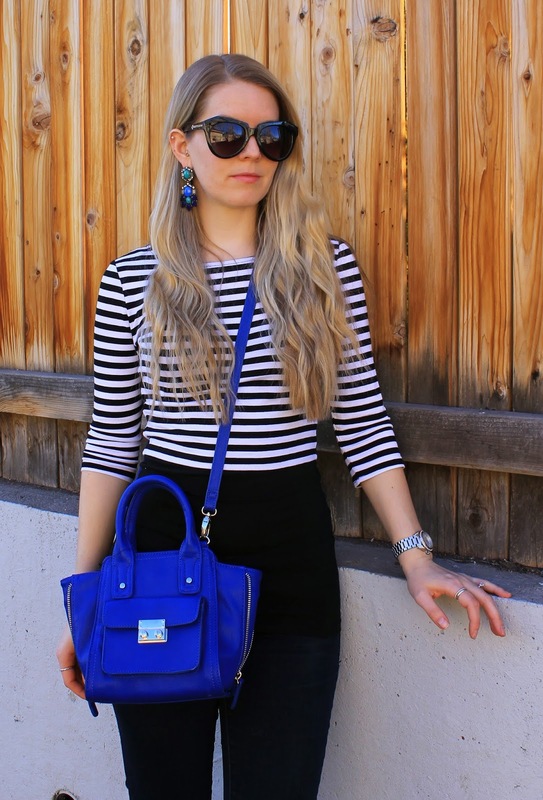 Love the pops of blue, the bag is just gorgeous! I love everything about your outfit Adrienne! 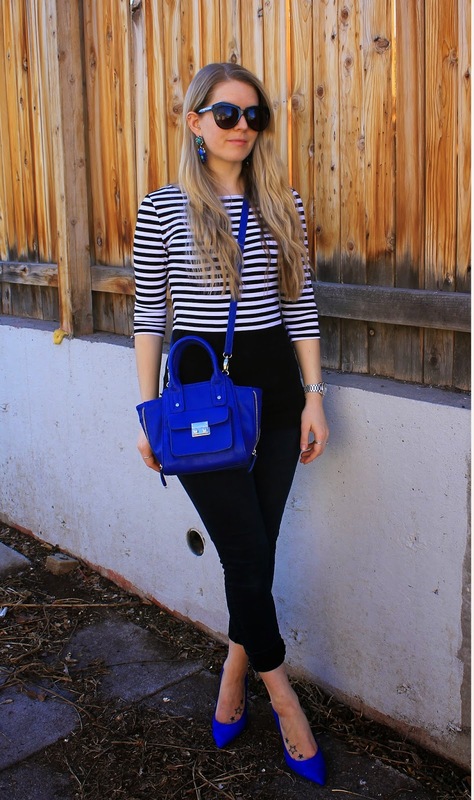 love the blue satchel! so cute! such a great pop of color!